Google Adsense has been the best when it comes to monetization, they are legit and that's why majority if not only bloggers go for it. For most bloggers, it has been serving as a major source of income to their work input. So due to the legitimacy of Google Adsense in paying those partnering with them, many tends to go for it and because of that, approval now become a problem. Why? Reason is because, you have not done the necessary things to your site or blog before applying for adsense. Although blogging is all about Passion but some people enters into it just to see that they make fast money and at the end of everything, they end up applying more than 8 to 10 times without getting approved or a successful reply from Adsense team. Well, as the title stated, am going to be guiding everyone not minding the country you are reading this guide from, on how to get Google Adsense first, by passing the stages of verification and then get the ads showing on your site or blog. The below steps work for all if applied properly, nd it doesn't end there, it also help your blog to grow the more. Behold The Latest 43 Ways To Boost Your Google Adsense Revenue. How To Know The Zip Code Of Your Street or Place In Nigeria. The first thing you should ask your self before applying for adsense is, whether your blog design is professional, if not, make sure the design is simple and good to any average mind. Don't use header not matching your design, ensure you complete the design, don't leave some part saying after you can finish it up, that is incomplete design. Now after application, do not make any change until you get a success approval. This signifies that you are ready whenever Google Adsense Team are reviewing your blog to check things out. rule. Next, Crafting a good About Us page with well description concerning your Niche or area of Blogging. It may be your objectives while you are providing/rendering the service to your fans and how it can benefit them. Now, for Contact Us form or page, is as well not left out, it is very important and useful for users visiting your blog. It shows how committed you are to your fans because it will enable them contact you easily, having the trust you are for real and not a scammer. This as well, tell Google that you are in for mean business and not as a scammer. Domain matters this days if you want to ensure a successful result after application. Gone are the days when one can apply with a subdomain and get approved easily. If you know you are running your blog on sub domain like Techbmc.WordPress.com or techbmc.blogspot.com, then you need a change to top domains like techbmc.com, or .Net etc. Although, you can still get sub domain verified, but the chances are very slim. 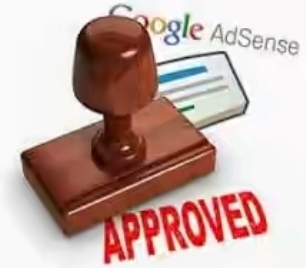 You need not to give Adsense reason to say no to your acceptance, so keep everything standard. There is no exact traffic or number of post stipulated by Google before one can apply. But to be at safe side and to clear the doubt of Google in order to accept your request. Ensure you have up to 60 to 70 post not less than 350 words. Don't copy and paste other people's material, let it be free from plagiarism, let it be of good quality; something that one can read and come back again to the site. Adsense is very sensitive to detect any form of plagiarism, so abstain from such. If not believe me, you can never be accepted. For traffic, ensure you are getting atleast 70 to 100 page views per day. Before Application or on the process of waiting for verification, you should remove every other Ads from other network on your site. One may ask why, this is as a result of what I call jealousy. Google may not like other ads network running while they are reviewing any site. So keep the standard, but after approval, you can still place those ads without nothing bad happening. Tracking your traffic requires Google analytics, so to get the code inwhich you can embed to your blog for such, all you need to do is to get your Google account details like password and User name for login. Now Login to Google Analytics website with the google Account details. When you login, Click on Administrative and then +New Account under Account tab. You should Enter your website Name, URL, plus other details which are needed and Click on Get Tracking ID. To paste the code to your site, there is an instruction guide for that there. So do well to follow it accurately. Hey if the instruction is not working out for you when installing the code, then use this script instead of the default code from Google. But you have to replace CODE in the script with your given Google Analytic Tracking Code. Your site MUST have this, whether you are applying for AdSense or not. Sitemap determines how your site get index by search engines. It arrange your blog posts for search engine to index them quickly. So once all your post are indexed, they will appear on search engines if someone search on such content. To get started in creating yours, Make use of Sitemap Generator. In case you are blogging on wordpress, install Google XML sitemaps and then create for your sitemap. Starting with, How to submit a blog or website to Google Search Console Tool, although the post is such that is long but am gonna make it laconic. Now, all you need to do first in order to add or apply for Google webmaster verification page, Just Log on to Google Webmaster Tools and then Click on Add a site. 1. You can Verify by uploading an HTML file to the root of your Website. 4. Verify using your Google Analytics account. 5. Verify using your Google tag manager account. So choose anyone that works better for you and move on. usually Google do verify theirs automatically. Now after the verification, Goto manage url and Add your blogs sitemap and you are good to go. Almost the same thing with Google console verification. All you need to do, is to create account at Bing webmaster tool and then Add your website Name or URL, with sitemap and then verify through any method of your choice. Final step, after all the set up above, the last is setting up a robot.txt file for your website. Create a nice one for your site, its work is to make search engines understand and index your post normally. This helps to build your traffic from search engines. For implementation of robot.txt and many more, you can read about it Here. Having done all these things above, you are good to go, so apply for AdSense with your real details intact. And then wait for a successful reply. Also abide by the Google AdSense rules and policy after approval, don't place more than three ads on a page. Don't cut the connection, Share this post to others and share your testimony with Us. Got any question, use the comment box. Thank you and Goodluck. TAGS: Google adsense sign in, login, registration, account, tips, policy, payment, appeal form, forum, wordpress, alternatives, banned checker, banner, blog, account for sale, blogger, pdf, apk. reinstated. unbanned. Youtube, video.